The old Belgium team survived on oats and arsenic. Yes, arsenic was commonly fed to older horses to help them maintain their weight. The old horse trader’s story was that one-month after buying a beautiful team the purchaser, who did not know about arsenic, witnessed his team turning to skin and bones. Arsenic is commercially used in insecticides, fungicides, and in treated lumber. Victorian women consumed it to make their skin paler to show that they did not work outside. It is theorized that Napoleon Bonaparte’s death was due to arsenic poisoning. 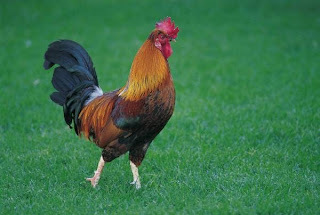 I recently learned that it is or has been used as feed additive for poultry and swine production. It improves weight gain and meat color. What kind of twisted mind decided arsenic would be good to feed to chickens? I guess chickens are made to sell and not to eat. Chronic arsenic exposure is associated with lung, bladder and skin cancers. It is also associated with heart disease, diabetes, and cognitive problems. Less associated symptoms include burning pains, diarrhea, anxiety, and restlessness. The mental impact may include obsessive-compulsive disorder. These individuals also have a fear of poverty, death, disease, and “germs”. This is another example of a toxicity having a mental impact. Ironically, homeopathic arsenic, known as Arsenicum album is a premier remedy that is especially useful for food poisoning. Remember that a homeopathic is highly diluted and does not contain the element arsenic. Homeopathy is in the realm of physics. Arsenicum album 30C is a remedy you should always have available. I remember being in Phoenix the day before a 6AM flight back to Charlotte. Unfortunately, about midnight, I discovered that I had made a poor choice of restaurants. Without the Arsenicum, I would not have been able to leave the motel at 4AM.